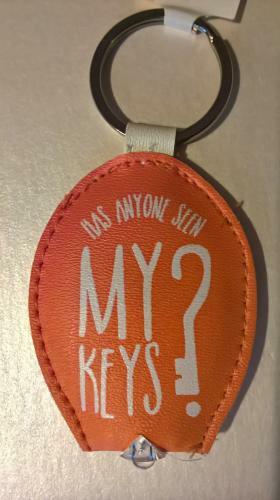 Who keeps losing their keys? "Has anyone seen my keys?" Novelty keyring with light up function.